It's all here: a hookah-smoking caterpillar, a mad hatter, potions to drink, cookies to eat, and a Cheshire cat. 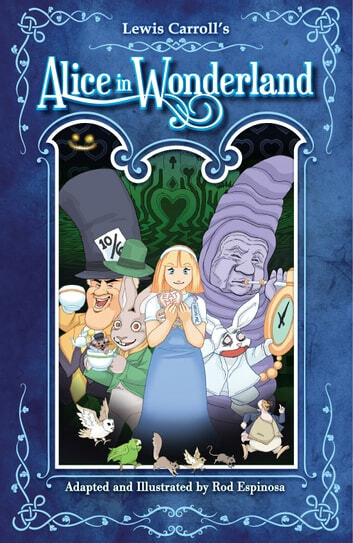 Alice discovers that Wonderland may be a fascinating place to visit, but you don't want to live there . 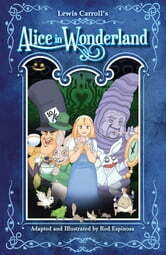 . .
* Eisner and Ignatz Award-nominated Rod Espinosa adapts Lewis Carroll's Alice!